About the role: We are pleased to announce an incredibly exciting opportunity to join our station within our commercial team in Austria as Commercial Manager. As the Commercial Manager based in Vienna, you will add immediate value by providing overall leadership on a strategic and commercial level for all sales and other activities. 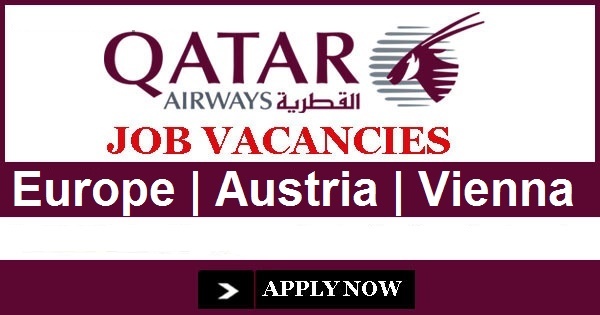 Reporting to the Country Manager in Germany, you will develop and deliver revenue for Qatar Airways, maximizing the return from the existing market whilst identifying and penetrating new markets where appropriate. This role will enable you to further develop your expertise within a fast moving environment with exceptional opportunities for career progression. This represents a fantastic opportunity to join a fast paced environment in a leading Aviation group to contribute to our continued development and evolution. Contributing to the strategic direction of Qatar Airways Corporate/ Trade and Leisure sales and defining the optimal way to increase sales by recommendations for routes, timings, aircraft type and other product development. Formulating and implementing regional sales strategy locally, including local corporate dealing policy, to maximise short and long term revenue opportunities, reduce cost of sale and generate channel shift where appropriate. Responsible for identification of production of new business opportunities and the development of marketing strategies in the station. Contributing to the production of local station sales and channel plan including revenue targets as a part of the integrated sales strategy. Managing relationships with other Airlines, Trade bodies, Government and Civil Aviation Authorities and general public in the station. Steering, leading and directing the station team to deliver corporate and commercial objectives and in such a way as to enhance employee motivation and satisfaction. A minimum of five years relevant experience ideally in an Airline or Travel industry with a strong corporate sales background. Extensive people management experience, outstanding leadership and coaching skills with the ability to motivate, set clear deadlines and manage workflow. Sound product knowledge and an understanding of market practices. Strong stakeholder management skills, excellent interpersonal skills and a ‘can do’ attitude. Fluency in English (written and spoken) is essential for this role. Fluency in German would be advantageous. You must also have the right to live and work in Austria to be considered for this role. Thanks for read this article. Please give Comment below. I attended the last Qatar Airways interview? When can I apply again? qatar airways -What is an Open Day event?